This is a really goofy, quotable, off-the-wall comedy that I actually liked a lot. Sure, as a “mature” moviegoer I should probably hate it, but I couldn’t resist laughing at the chaos of everything that was happening in this fish-out-of-water film. The reason why I marked it down so much is because the script and story are somewhat lacking. Most of the characters are pretty thin and there is never any real sense of tension. There’s nothing much at steak. Also, there are no real rules in this film universe, and there are some things in the plot that don’t make much sense and can be countered very easily. The third act is abrupt and doesn’t even fully come to be. However, the performances by the cast were really well done in my opinion, and I especially found Fraser hilarious. 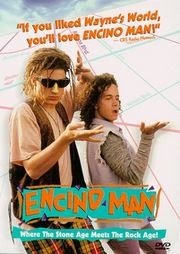 “If you liked Wayne’s World” I’m pretty sure you’ll find this movie funny.